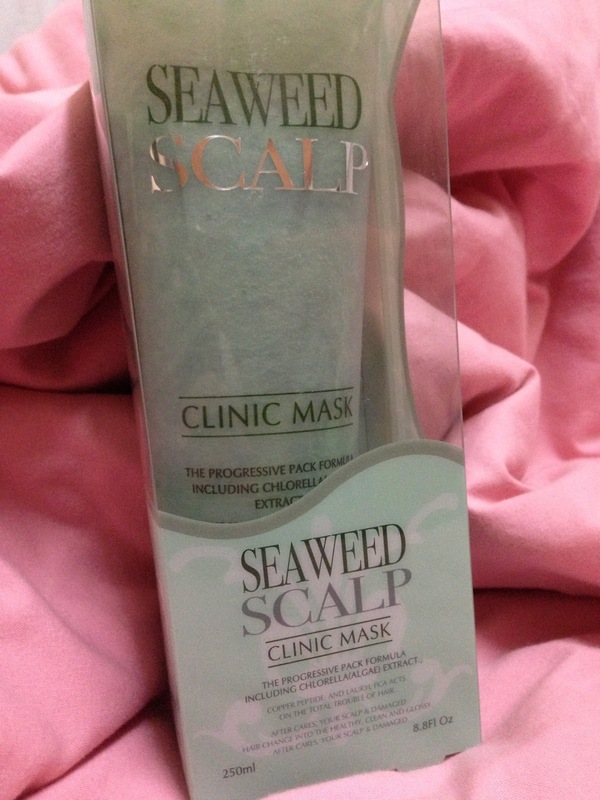 I bought a Seaweed Scalp Mask. It was recommended by Pretty baby aka Nicole on her blog (Mandarin blog), and it sounds really good so I asked her to help me get one. 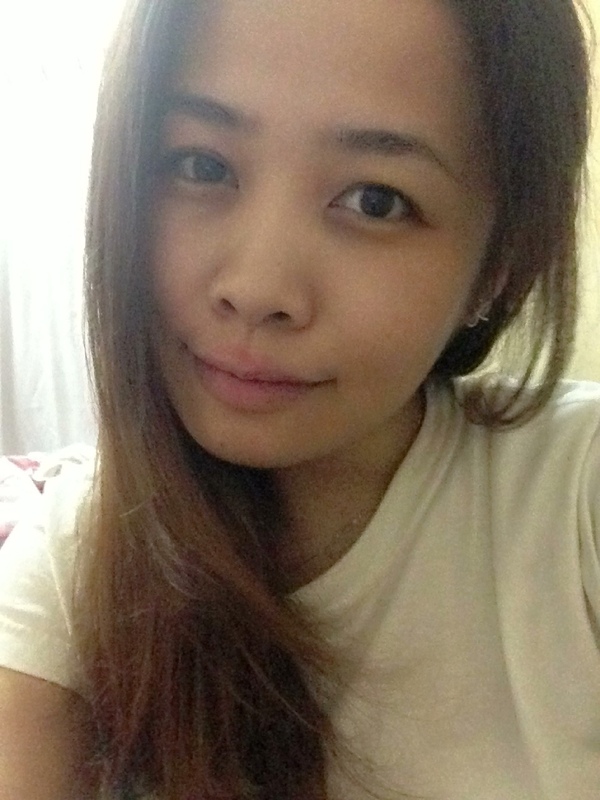 The reason why I wanted to try is because I have thick hair. Really thick hair. Every time after shower, my hair takes forever to dry up. And if hair aren't fully dried, it smells a kind. Get it? Although I use a hair dryer. But still, it takes more than 15 minutes to get my hair fully dried. Hands are really tiring and sore.And sometimes it still smells a kind. So I though this scalp mask will be good to help me clean my scalp because I think maybe it my scalp that's dirty and clogged. No harm trying! So I got it the day before my birthday (treat it as my birthday present for myself! ahah). I can't wait to used it straight away. It is made in Korea. There's clear indication on how to use it. 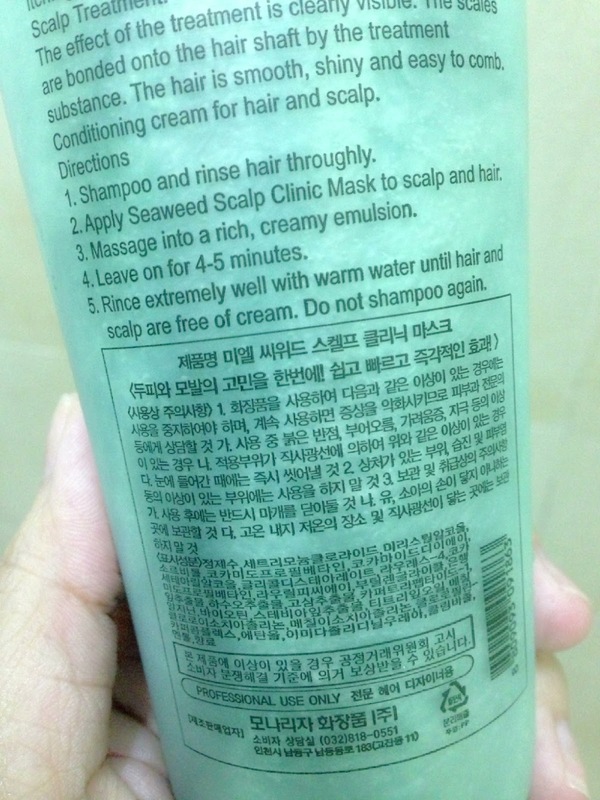 Shampoo and rinse your hair well. 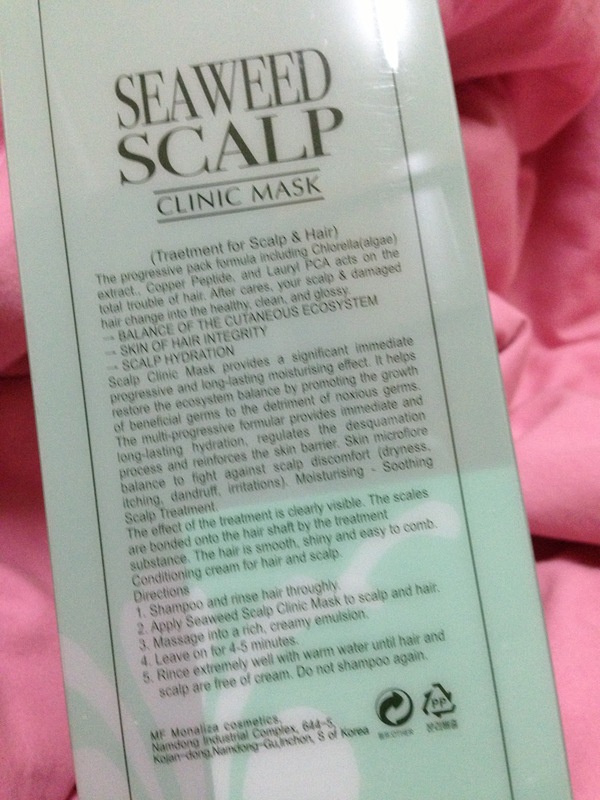 Apply the seaweed scalp mask to your scalp and hair (I only applied to scalp). Massage into a rich and creamy emulsion. Leave it for 4-5 minutes (I wash my clothes while waiting, Never waste time haha). 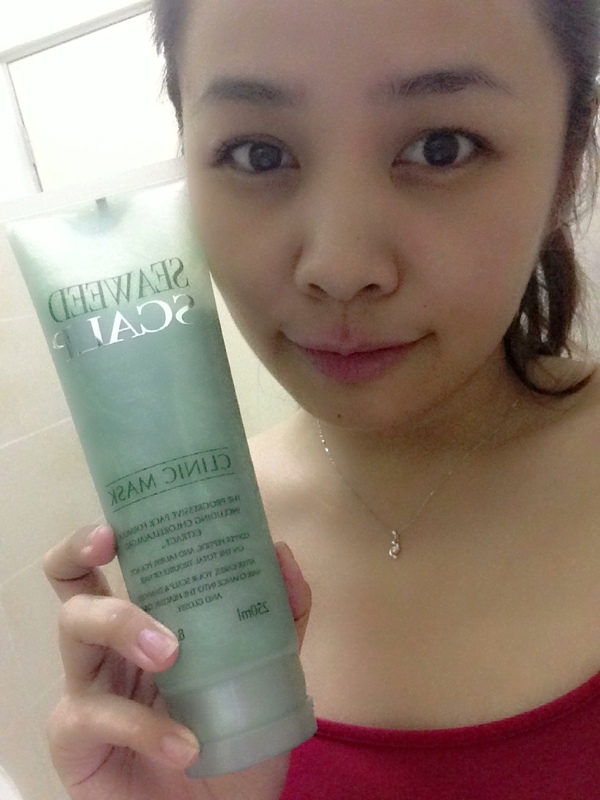 Rinse throughly until its really clean and DO NOT SHAMPOO again. After I dried my hair, my hair is so smooth and silky! MAGIC WONDER! I didn't even apply it to my hair (sure will kena abit while applying to the scalp) but still my hair looks good, feels good and its really good! Thanks to Pretty baby's intro. I just found my NEW LOVE! If you like this post, share the ish out for me, would you? Hi! May I know where to buy this product? Is this product good for hair fall? Hello~ I bought it from a hair salon near my house. I am not sure how good is it for hair fall problems but I do feel that it keeps my scalp clean and refreshing. Clean scalp helps with hair fall though.